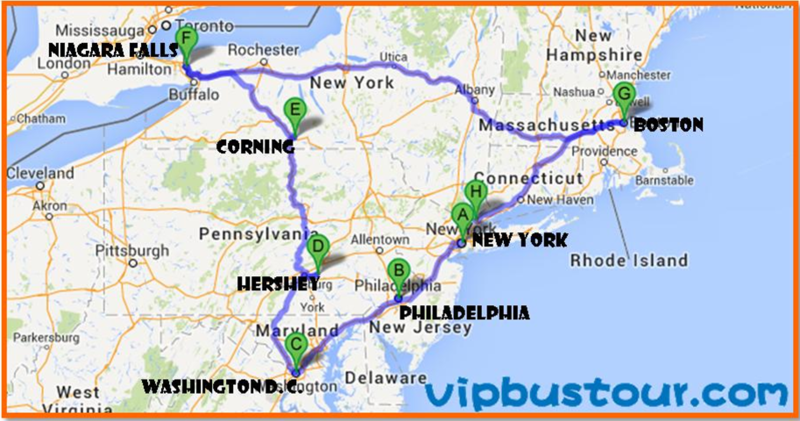 US East Coast: Boston Niagara Falls New York City Washington D.C. Guests should meet our tour guide at Baggage Claim No. 11 waiting area (near the welcome center) at the Dulles Airport and take the scheduled shuttle bus to hotel. Optional night tour will be offered to the guests who arrive at the hotel before 5PM ($25/person, minimum 4 people). Complimentary pick-up service of Dulles airport is available between 9 AM and 10 PM. Need to wait for other passengers from approximate same time period flights. Charged pickup service is available 24 hour and $ 120 for one or two persons and $10 for each additional person). Arrive at the capital Washington D.C. Enter the Capitol Hill where you can see a great deal of art works and also learn some interesting history of the country. Visit Lincoln Memorial, Korean & Vietnam War memorials. Enjoy some free time at the National Air & Space Museum to learn the milestones of human beings had made to overcome the gravity. 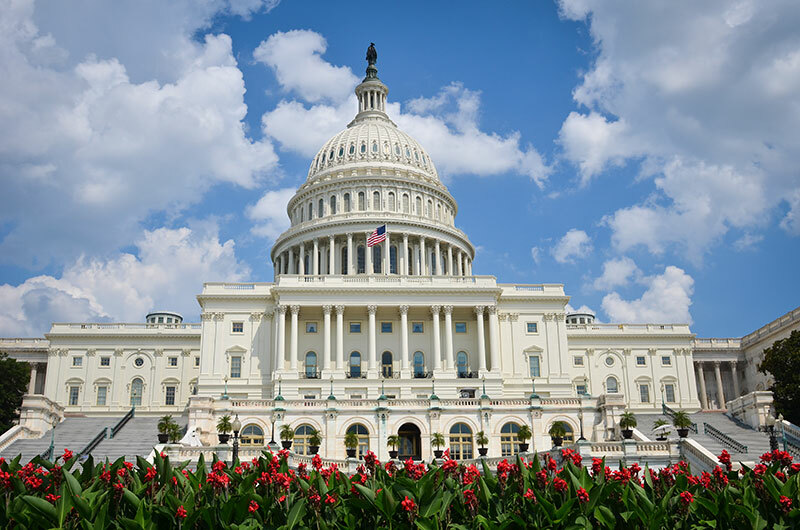 Take a Potomac River Cruise to see the full view of this highly restricted city meanwhile hear interesting stories of Washington D.C..
Visit Corning Museum of glass, which currently has a collection of more than 45,000 glass objects, some over 3,500 years old. Watch hot glass making show. 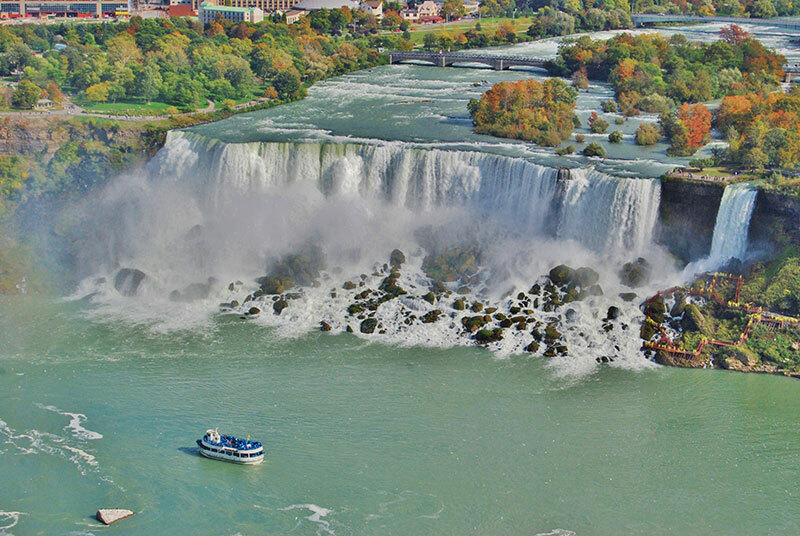 Visit the magnificent Niagara Falls. Inside the Niagara Falls State Park, you can see the 3 beautiful falls including the American Falls, Horse Shoe Falls, and the Bridal Veil Falls. Return to the visitor center of Niagara Falls to see an IMAX movie called The Legends of The Falls, which cost $15 million to make. B. join the optional In-depth tour of Niagara, to see the Whirl Poor, and the Old Fort of Niagara. ($25/person including a $13 ticket of Fort Niagara). Starting early from the hotel, take Maid of the Mist, a famous ferry on Niagara River. You will have a very exciting experience by seeing the fall in very close distance. Travel across Upstate New York to reach Massachusetts in the afternoon. Arrive at Cambridge to visit the oldest campus in America, Harvard University. Do not forget to take pictures with the status of Mr. John Harvard. Also visit another Ivy League school MIT (Massachusetts Institute of Technology). Boston City Tour: stop at the Copley Square to see the old Trinity Church and the modern John Hancock building. Follow the Freedom Trail you can spot the Boston Common, the golden top Massachusetts State House and many other attractions. In the morning, we are heading to the world famous Harvard University. Here, guests will be invited to visit its oldest campus district and have pictures with the Statue of Three Lies - Harvard Statue. Also, we have a chance to walk around the campus of Massachusetts Institute of Technology (MIT) and take pictures with its main building. For the rest of our Boston city tour, we will stop at old Trinity Cathedral and Hancock Building to take pictures for memory, meanwhile; we will pass by Boston Park, Swan Lake Park, Boston Athenaeum, and the Golden Dome of the State House to discover the culture of the city! 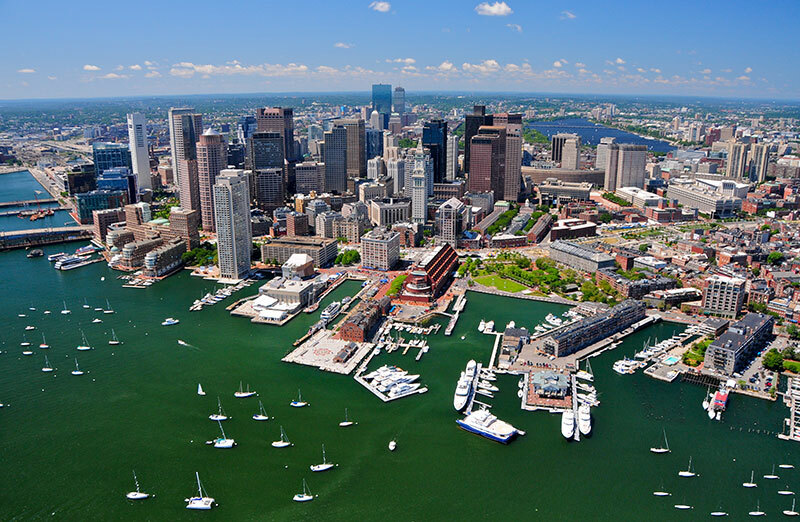 Another fun will begin as soon as you board the cruise ship and enjoy a breathtaking view of the Boston harbor. Later, we will go to the New England Aquarium. The New England Aquarium is distinguished by a four-story Giant Ocean Tank which features an underwater communications system and large windows to the ceiling, making visitors feel like being placed under the Caribbean sea with fabulous views of coral reef as well as hundreds of reef animals, including sea turtles, stingrays, eels and fish. In the meanwhile, you will also learn of treating and rehabilitating sea turtles here. The next stop is the old Quincy Market. the old Quincy Market is opportune for strolling through, or to get a taste of the historical ambience as well as to pick out souvenirs among the assorted merchants and artisans. 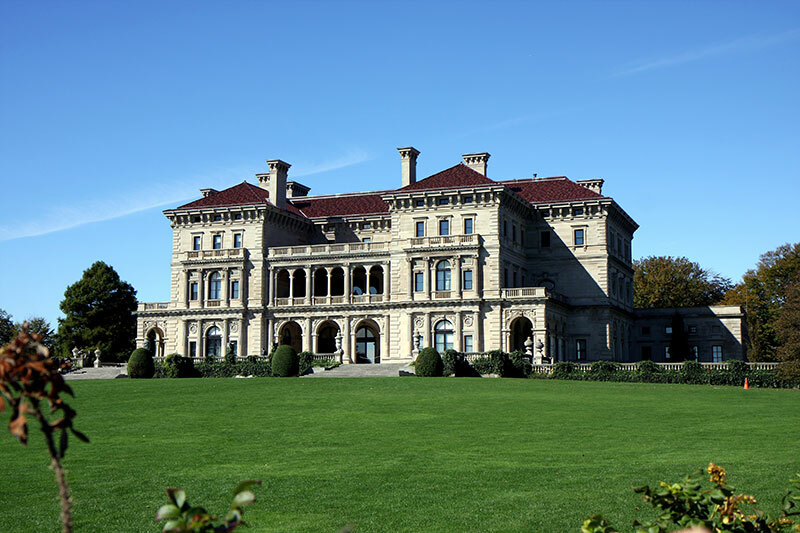 After visiting the Quincy Market, guests will arrive the Breakers in the afternoon which is the Newport (Rhode Island)’ s most magnificent mansion! The Breakers mansion is not just one of the most famous, but is the largest and grandest of the several historical Newport "cottages" that dot the ritzy coastline. The four-story building is located on 14 acres of waterfront property. Many local stories will help guests review the splendid past of Vanderbilt’s family. Starting early in the morning, we will visit Yale University: view the Gothic Style old campus, learn the interesting history of this colonial school, see where students live and study, visit one of the most famous libraries in world on Yale campus (Only public campus can be visited during school exams). Arrive at New York City in the afternoon. Stop at the Fifth Ave to shop in Bloomingdale’s, which is the high end store of Macy’ s. Macy’s is the biggest retail merchandise in the US. 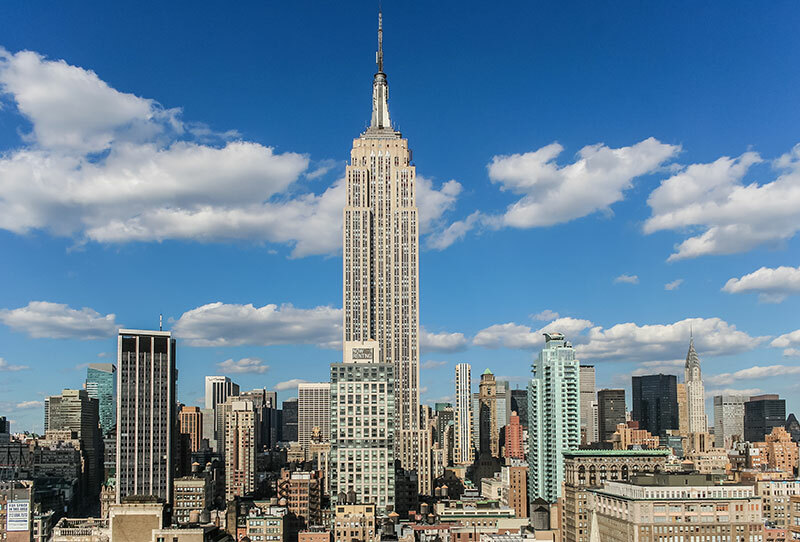 Our well organized tour will take you to reach the top of the most famous landmark of NYC, the Empire State Building, where you can see the full view of this amazing City. Cruise on Hudson River to see the Statue of Liberty and Brooklyn Bridge. Visit the old aircraft carrier the U.S.S. Intrepid, which was invested with 120 million dollars to become a famous air and space museum. Walk along Wall Street--the world’s financial center. See the Trinity Church, New York Stock Exchange and the symbolic Charging Bull. Visit the Metropolitan Museum--the biggest art gallery in world, Times Square, Madame Tussaud Wax Museum or Museum of Modern Art. Pass by the Fifth Avenue, Rockefeller center, United Nation headquarters, World Trade Center Site, Freedom Tower and so on. When tour ends, you will be provided with free bus tickets to return Washington, DC (715 H Street At 7th St NW Washington, DC 20001). Note: Any delayed flight due to weather conditions or any circumstance which is unable to arrive before 10:00 PM (U.S. Domestic Flight & International Flight) for the free airport pick up, customer will be charged extra fee for the late transportation. *Return times are estimated. But It cannot be guarantee. It depends on the day of Traffic, weather or many other uncontrollable reasons. We DO NOT allow customers to use the CITY PASS to join the New York City sightseeing attractions included in this tour travel. If you do purchase and bring a CITY PASS, the local Tour Provider will not supply the transportation service on the New York City sightseeing day. Please arrange your own transportation on that day.